my hands, workbench or knowledge as companies to trust when it comes to guns, parts for them, ammo and reloading equipment. progress slowly, sorry about that but come back again, see what made it in here or not. If you found a link that's don't work, please let me know so i can fix it. NRA This a must have one. If you not a member already..what do you waiting for? NSSF The National Shooting Sports Foundation. ATF Everything you want to know about guns and the law. SAAMI The Sporting Arms and Ammunition Manufacturers' Institute , not only for handloaders :). Shooting steel? then you have to join here :) And do it now! Well, trouble to find THE link in here? try then Richard Comers site, tons of useful links. Guns and ammo Just what the name says, read about guns and ammo. Produced from 1884 to 1904, the Medium Frame Lightning Magazine Rifle was a dramatic innovation in breech loading firearms. In the 21st century USFA integrates advances in metallurgy, the precision of CNC machining and the craftsmanship of hand assembly to produce the Lightning today. Tools for everyone and everything!! Rifles, shotguns and ammunition from one of the biggest and well know co. Rifles and 1911 type pistols of god quality. Remington Guns, guns and some more guns. When in the army i used one of their guns, both single and auto fire in cal. 7.62x51 Nato,it worked wintertime in North Sweden after long cold days and even colder nights with more than 30 minus CELCIUS....never let me down....Guns to be trusted. My second competition pistol was a Sako Triace, they don't produce it anymore, only rifles for hunting, target comp. and long range sniping, Sako guns are hard to beat when it comes to accuracy and quality. Us company with the swedish flag on its logo :) Well made pump shotguns for hunting. The World of USFA, this is the company to buy your next Single action six shooterfrom. Quality handguns made for cowboy action. 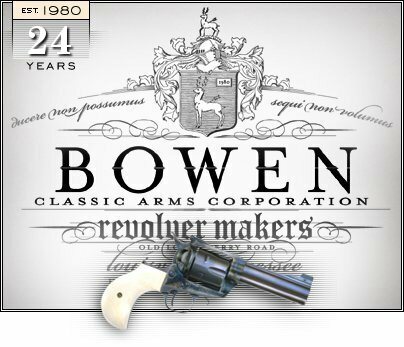 When it comes to big revolvers and rifles, please read BIG, give 'em a call. The Peacemaker, the Python and the 1911 home. My 14 inch long barreled TC in.375 JDJ was built by SSK by the master himself: J.D.Jones. :)Handguns for hunting? here is the place to find them. Handguns, rifles, shotguns, archery equipment and much more. Freedom Arms, well made SA revolvers for hunting and long range target competition. The Glock, pistols manufactured of plastic and steel components, high tech and reliable. currently manufactured from others also under different brand names. Quality handguns and rifles for both civilian and military-police use. Beretta, Italian made (and US) handguns and Shotguns. I.M.I. Handguns and up to...you name it, one can start and feed a war with I.M.I. hardware, the big Desert Eagle was born in IMI and the UZI belongs here to. The word "quality" (and lots of that green stuff called ...money?) are associated with this gun maker. 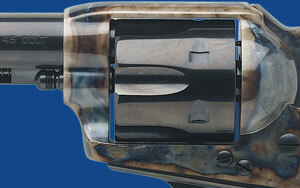 Taurus International This company is based in Brazil, mostly revolvers with S&W influence but with a lot of own ideas. Parts and complete gun from one of the best custom gun makers. One of the best custom guns makers in the US. try one wild Wildey gas operated pistols. guns he made. :) One gets what he pays for but with a Ruger gun you get some more. Barnes Bullets....Quality Bullets for the reloader, handgun, rifle and black powders . The home of X-Bullet, tough and hard hitting. 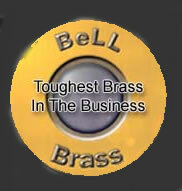 Bell Brass Do you want to find some hard to get brass for your gun? Or do you want your brass to have your name on? give 'em a call. Tools, books, gunparts and much more. Ammo, primers, bullets, cases powder and more. My best ammo are always loaded with primers from Federal. Powders for handloaders, both Hodgdon and IMR. Cartridges, cases and bullets from this Nebraska company. Quality cartridges and cases from this Finnish company. i know that i am one of those. Quality molds for the bullet caster, custom made or standard. bullets from this swedish company. Quality bullets for the hunter. Tools and equipment for handloaders, they and Lyman are the oldest. Tools and equipment for reloaders. Remington ammo for the hunter from the green company. Bullets for the reloading hunter, competitor and sunday plinker. My favorite gun powder forboth handgun and rifle ctgs..